Special Equipment: Overhead projector or whiteboard. I’ll bring my own laptop (and a flash drive as backup). A flip-chart is also useful. In this presentation, the author talk about when and how she began her writing career and her path to publication. Then she focuses on writing skills, which begin with the importance of reading. The author will share techniques for idea generation and how students can refine their ideas and create elevator pitches. She will discuss character development and how to decide what kind of character would be interesting in the story they want to write about. Then the focus is on story structure—story arcs, character evolution, sub-plots, and the importance of conflict and growth. She also spends time talking about how they can find and hone their writer’s voice. Much attention is given to revision, since so many students dislike that part of writing! Finally, she talks to students about the publishing process, why THEIR stories matter, then does a Q&A and talks books with them! *The author does a similar, though simpler, presentation for K to grade 2 or 3, talks to students about story building, then does an integrative story building exercise with them. A Not-So-Blank Canvas: Using artwork as a springboard for students’ own voices and creativity. Grades 4 to 7 or teaching staff. For adults or older students who want to write for children, the author also gives workshops on writing compelling children’s books. She begins with a quick intro that includes her story, including her challenges in getting published and her ongoing challenges of writing and marketing. Then she discusses current trends in children’s literature: #own voices. #diversity, #black lives matter, what’s popular now. She also discusses self-publishing versus traditional publishing and the use of online platforms to share their work, such as Wattpad. The workshop then focuses on techniques that will elevate their writing, such as: Making sure your writing is through a child’s eyes, not theirs; realizing that children’s book characters need to be just as complex as those in adult books; field research; how to focus your story so it is compelling to children; writing with respect; reading within your genre. We talk about how to know what kind of kid’s book they are writing: picture book, early reader, middle grade, or young adult. As with workshop one, the author will also focus on idea generation, how to know what editors and publishers are looking for, plotting, character development, improving their writing, point of view and writing voice, pacing, and of course, revision! She will also explore marketing, and leave time for a Q&A. 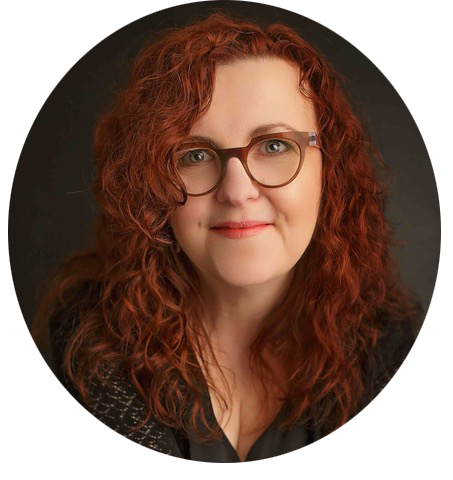 Wendy grew up in St. Stephen, New Brunswick and wrote her first novel when she was nine years old after reading Little House in The Big Woods and realizing there was such a thing called an author and a way to share all the stories in her head!. She wrote the first draft of It’s a Mystery, Pig Face! over two decades ago while living in British Columbia. She was homesick and decided to write a middle grade novel—a love story really—about her childhood neighbourhood and the shenanigans kids can get into when they want something to happen badly enough. After polishing the book and sending it to one publisher, who sent back a lovely rejection letter (she didn’t understand how lovely it was until later on! ), she put the book in a drawer and went to work, even as the flame of being a children’s book author continued to flicker away deep within. For the next twenty-five years, Wendy worked for the Government of New Brunswick, first as a policy analyst, then as Director of Early Childhood Services, Director of Long Term Care Services, Assistant Deputy Minister at Social Development and finally as Deputy Minister of Education and Early Childhood Development. She also taught Sociology at the University of New Brunswick, made a bunch of wonderful friends, and raised a couple of spectacular children. But the dream of writing never died and one morning Wendy woke up and decided that it was now or never, and so she left government to give it a go. The logical place to start seemed to be with It’s a Mystery, Pig Face! and so after a complete reworking, and more than a few rejections by literary agents, Wendy was signed by the LKG Agency in New York City, who sold It’s a Mystery, Pig Face! to New York City Publisher Sky Pony Press. The book was published on February 2017 and along with the thrill of publication, Wendy was honoured when It’s a Mystery, Pig Face! was chosen as the inaugural book for St. Stephen StoryFest, a festival designed to promote literacy and the love of reading. It seemed her love letter to her hometown was met with equal love by her hometown, who saw to it that all grade four and five students in the town received a copy of the book, as well as the libraries in all the local schools. Meanwhile, Wendy was writing a book set even closer to home: a magical realism novel set at the at the Beaverbrook Art Gallery in Fredericton, New Brunswick. The book was sold at auction in a two-book deal to Harper Collins’ Greenwillow Books imprint in the summer of 2016 and was published on June 5th, 2018. Along with excellent reviews in trade publication, including one starred review. The Wall Street Journal described the book as “delicious”. Her next novel is slated for release in 2020. When she isn’t writing, Wendy is cooking, gardening, reading, and watching the wildlife in her backyard. “Wendy was very engaging, answering questions for approximately one hour with every grade. —Louise Johnson, Principal, Westfield Elementary School.